Be a Cowboy for a Day! Looking for fun “Things To Do”? Look no further! We are the ONLY ATV Tour Company in Nevada to allow children ages 6 and up…so bring the kids for an offroad adventure they will never forget. A Day at Mt. 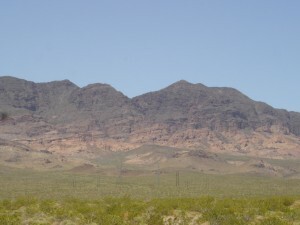 Charleston, the rugged mountain adventure 45 minutes away from the heart of Las Vegas. Just enough riding to have fun, but won’t leave you exhausted the rest of your trip. 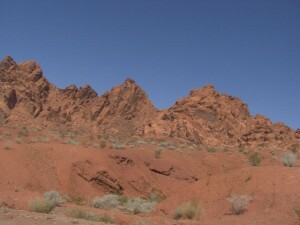 ﻿A Day in the Valley of Fire - Beautiful scenery and a rich history. A new service offering, available now. If taking a guided tour doesn’t sound like your thing, take a look at our ATV rental options and make your own adventure. Find your own fun on our trails, your own private property or on public trails throughout Nevada, Arizona, Utah and California. Just to name a few of the places our customers have taken our Polaris Ranger rental and our Polaris Trail Boss rental options. 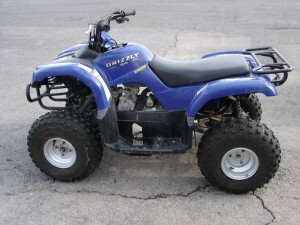 ﻿Our most popular, and best-priced ATV can be yours with our rental options. Our most frequent rental, with a great balance of power, ease of use, price and versatility. Be the Boss of your own trail with this reliable, powerful ATV. A favorite of ATV fans, the Polaris Trail Boss 330cc ATV is a great option for anyone needing a bit more kick than our standard offerings. ﻿90cc and 125cc ATVs available for beginners, children and smaller riders. A great option for groups with smaller riders - The 90cc and 125cc Grizzly are easy to control and manage by beginners or smaller riders. ﻿﻿Side-by-Side seating for two passengers, and massive cargo capacity. 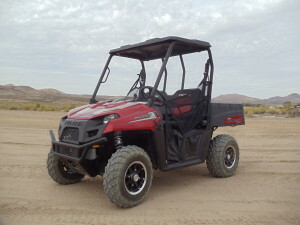 This UTV is a popular choice for hunting, family outings, or when you need its cargo capacity to haul equipment or supplies somewhere off the beaten path. 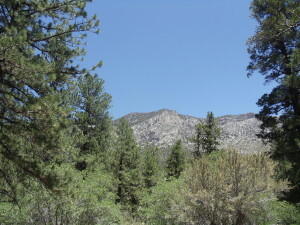 Private Guided ATV Tours of beautiful Eldorado Canyon, Mt. Charleston, Valley of Fire, and more Take a guided ATV tour on fun ATVs, UTVs and enjoy our Las Vegas off-road playground. 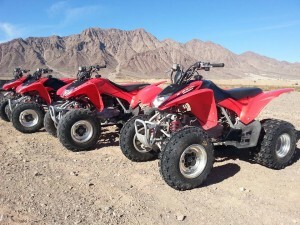 Go on an off-road ATV adventure, on one of the most unique outdoor activities in the beautiful green landscape of Mount Charleston, the breathtaking vistas of the Valley of Fire, or in the wide open scenic desert trails of Eldorado Canyon. Our guided tours include as much time as possible riding on fun and powerful ATVs such as the Polaris Trail Boss. We have Las Vegas Tour and Rental options available to fit any itinerary or budget. Our vehicles are easy and safe to operate, so riders with no prior experience can participate with just brief instruction. Most of our machines have automatic and semi-automatic transmissions, so you don’t have to worry about shifting, just enjoy the ride. ATV operation training is provided for all riders. Riding gear such as helmets, goggles and gloves are also provided to all riders. We also offer the lowest rates in town for our jet-ski and boat rentals. Enjoy a day of Fun In The Sun at Lake Mead and beyond. The answer is simple. We offer everything for your outdoor entertainment and we specialize in great customer service to ensure you have the best experience possible. We offer private ATV Tours, unguided ATV Rentals, Jet Ski and Boat Rentals, as well as Horseback Riding Tours and Zipline Tours of the Eldorado Valley. We are Family friendly and we have the best rates in town; guaranteed! 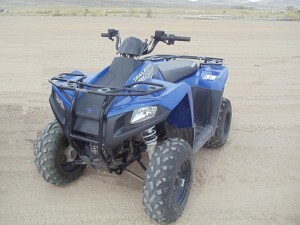 Our Las Vegas ATV Tour packages have something for everybody. Our most popular options are the Eldorado Canyon and Valley of Fire tours, while our more adventurous Vegas tour groups spend a full day together on our Mount Charleston tours. If you’re not sure which option is right for you, give us a call and we’ll help you plan your exciting off-road adventure. We cater to every size of group from Small to Large. No matter what the occasion is. Couples, Families with children, Birthday Groups, Newlyweds, Wedding Parties, Bachelor Parties, Bachelorette Parties, Corporate Groups. Our goal is to make sure you have the most fun while making memories that will last a lifetime. Regardless of if you call it an ATV, 4×4, Quad, Four Wheeler, Off-Road Vehicle, UTV, SidexSide, Dirtbike, Motorbike, Jet Ski, Waverunner, PWC, Seadoo, or “Thing That Goes Vroom”, we have you covered. If you have any questions just give us a call. Beginners are encouraged to talk to us about any questions or concerns they have about what they’re getting, so we can make sure everyone knows what to expect on their tour or rental.